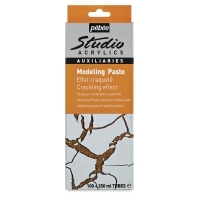 Pebeo Crackling Effect Modeling Paste is designed to help you achieve a crackled effect when used alone or in combination with acrylic paint. Application involves an easy two-step process. First apply the undercoat to your surface, and then apply the modeling paste, which will react with the base to create the desired effect. Acrylic paint can be mixed into the modeling paste at a ratio of no more than 25% color. Or the modeling paste, once dried, can be overpainted. 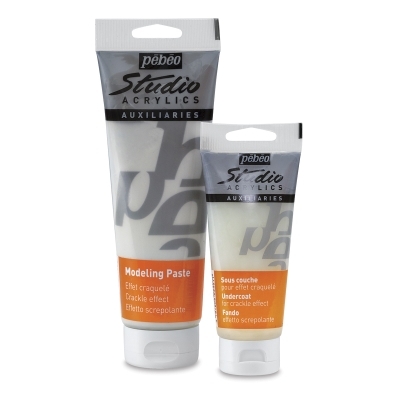 A 100 ml tube of undercoat and a 250 ml tube of the modeling paste are included.